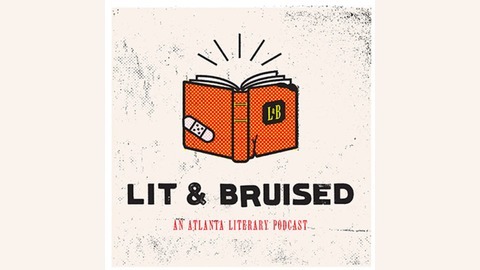 ATL’s literary art community is known for its boundary pushing styles, readings that are parties, and writers unafraid to push themselves while fighting to unite a community separated by deep transit limitations. Lit & Bruised is documenting this community that we love. Episodes are long-form conversations with local writers that feature readings both live and recorded. 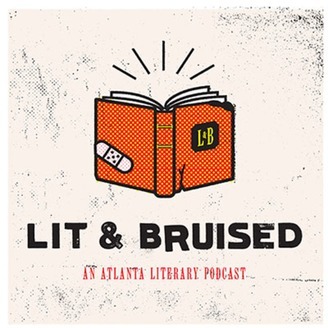 Lit & Bruised is hosted by John Carroll and Matt DeBenedictis. This is it, the end of season 3 (we’ll be back early next year), but what better way to end this great season than with the live recording of our live show at The Letters Festival after party. Sabrina Orah Mark, Merredith Blankenship, and Jared Yates Sexton all took to the stage, read their work, and then joined us on the yellow painted couch for a conversation. Sabrina Orah Mark's first collection of stories, Wild Milk, was recently published by Dorothy. She is also the author of the poetry collections The Babies and Tsim Tsum. Mark’s awards include a National Endowment for the Arts Fellowship, a Sustainable Arts Foundation Award, and a fellowship from the Fine Arts Work Center in Provincetown, Massachusetts. She has taught at Agnes Scott College, University of Georgia, Rutgers University, University of Iowa, John Jay College of Criminal Justice, Goldwater Hospital and throughout the New York City and Iowa Public School Systems. She lives in Athens, Georgia, with her husband, Reginald McKnight, and their two sons. Meredith Blankinship lives in Atlanta, GA. She is a graduate of the Iowa Writers' Workshop and author of the chapbook Sexual Civilian (Epigraph Magazine). Her poems have appeared in NOÖ, Beecher's, Heavy Feather Review, GlitterMob, Sink Review, and Finery, among others. She collaborates with the artist Dana Haugaard on Heat Rituals, a multi-medium project. Jared Yates Sexton is a writer, academic, and political correspondent whose work has appeared in The New York Times, The New Republic, and Salon. He is the author of The People Are Going To Rise Like The Waters Upon Your Shore, An End To All Things, The Hook and The Haymaker, and I am The Oil of The Engine of The World. Currently, he serves as an Associate Professor of Creative Writing in the Department of Writing & Linguistics at Georgia Southern University. We hope you enjoyed the season.